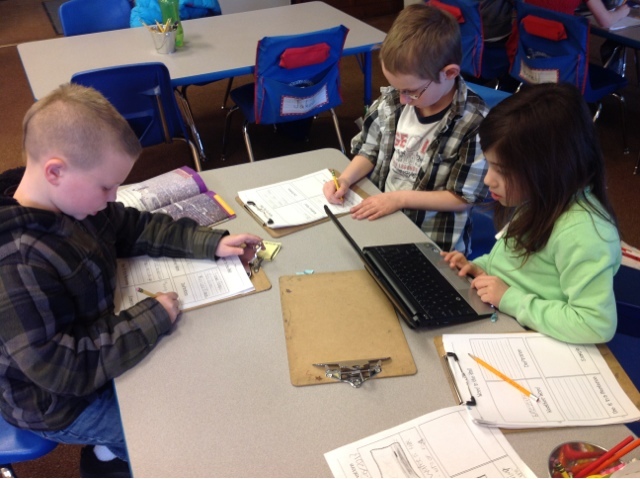 Today we began working on our Weather Words in the Hall video projects. 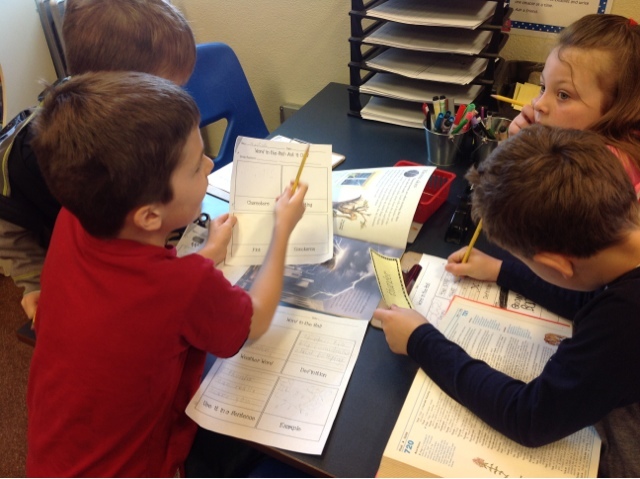 Each group chose a weather word, looked up its definition, used the word in a sentence and brainstormed a list of examples that would help explain what the word meant. Tomorrow we will make a plan for acting out our words and work together to create short videos using the Splice app on our iPads. 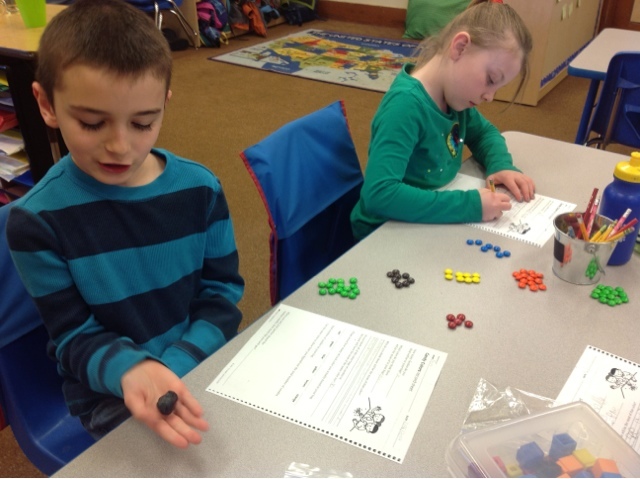 In math this week we are working on estimation, counting by tens and ones, collecting and graphing data and adding double digit numbers. 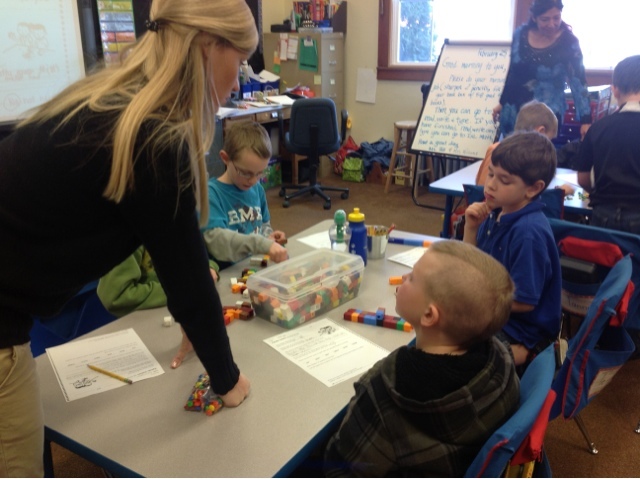 Greyson said that he discovered you can count a big group faster when you put them into smaller groups of 10. 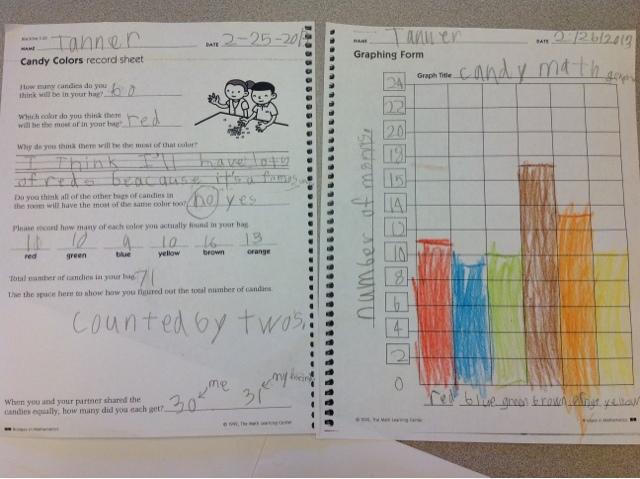 Collin thought the graphs helped us to see our information more easily. 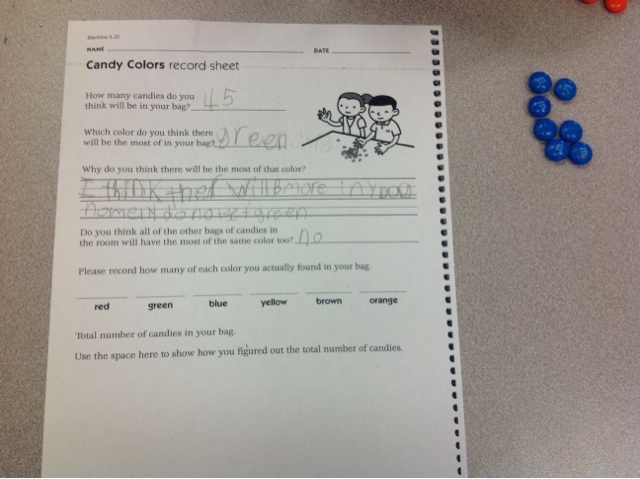 We also discovered that we couldn't number the y axis of our graph by 1's because there were only 12 spaces on the worksheet and some of us had more than 12 candies for a particular color. 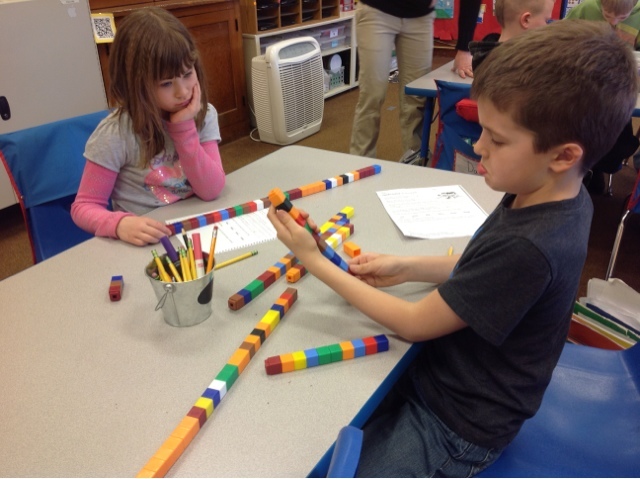 We decided we could number it by counting by 2's. Building Our Vocabulary with Weather Words! 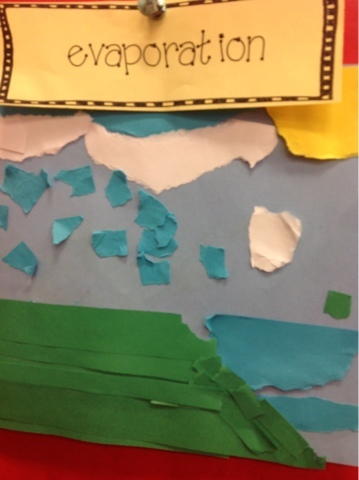 This week we were busy building a Weather Glossary in our classroom. As we learned about the water cycle we created pictures to help us remember new and important vocabulary. 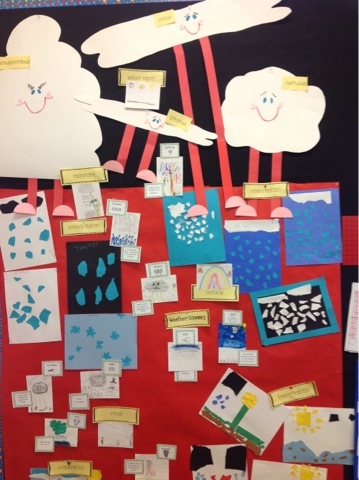 We created visuals to represent the processes in the water cycle. 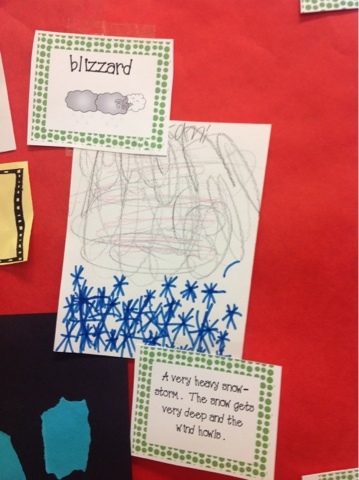 One of our classmates drew a picture to show us what a blizzard might look like. This diagram shows how water evaporates. 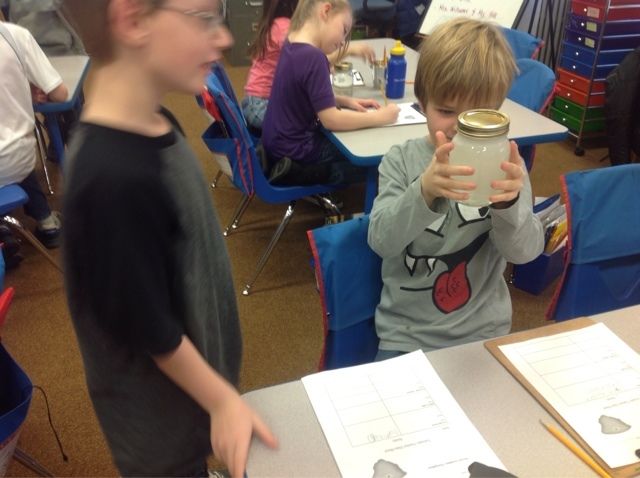 This morning we experimented more with our tornadoes in a jar and shared our observations. 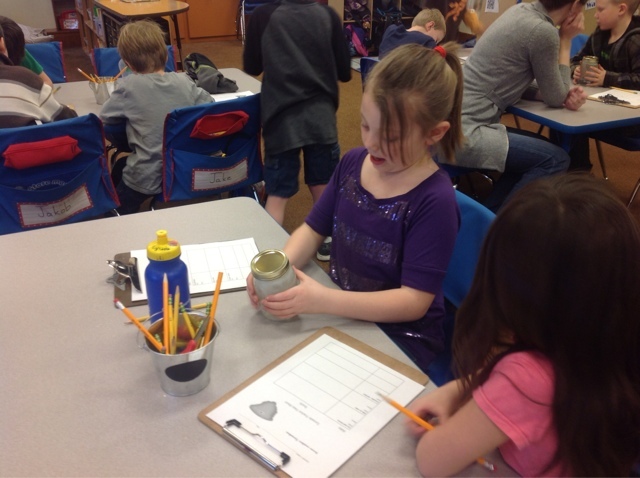 We concluded that you make the best tornado by shaking the jar back and forth, side to side. Not to fast, not to slow. 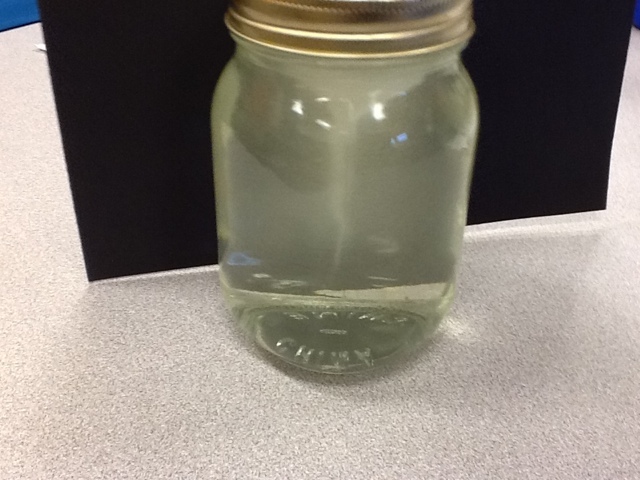 If you want to try this experiment at home all you need is a clean jar, water and dish soap. 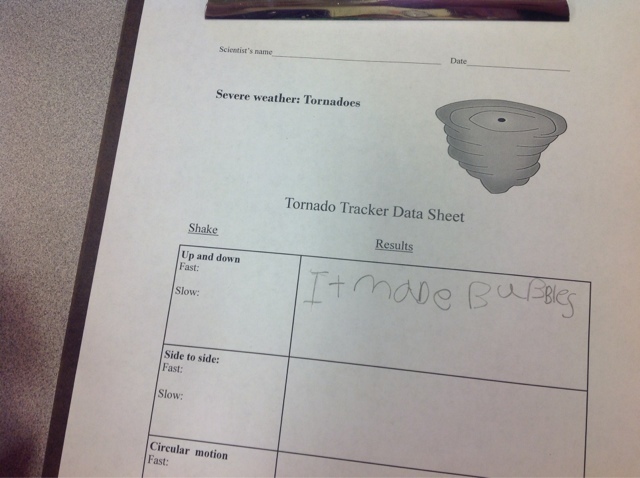 Today we learned about tornadoes. Did you know that there is no other force in nature that is more destructive? 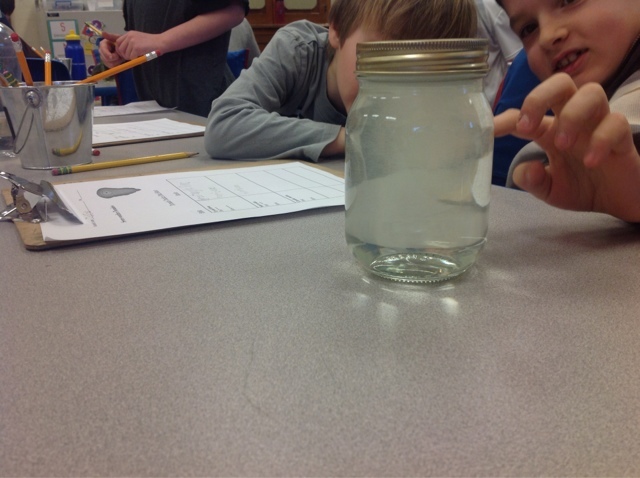 We used the scientific method as we experimented with a glass jar, water and dish soap to see if we could create mini tornadoes with our science buddies. 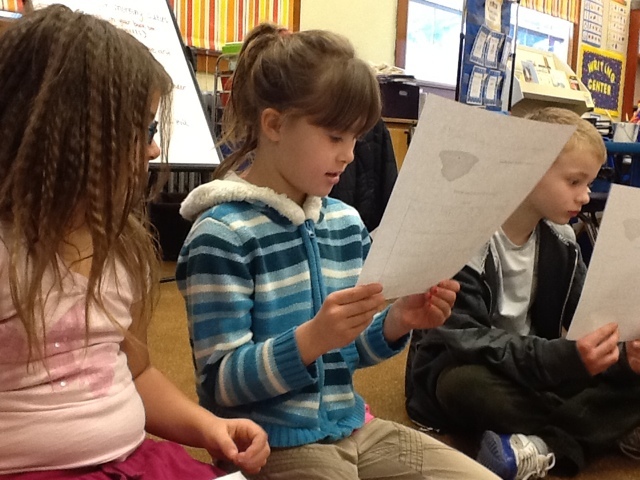 Tomorrow we will discuss our observations and share our conclusions. Stay tuned! Our Wax Museum was a huge success! You can click here to find links to the resources our teacher used to help us be so successful.